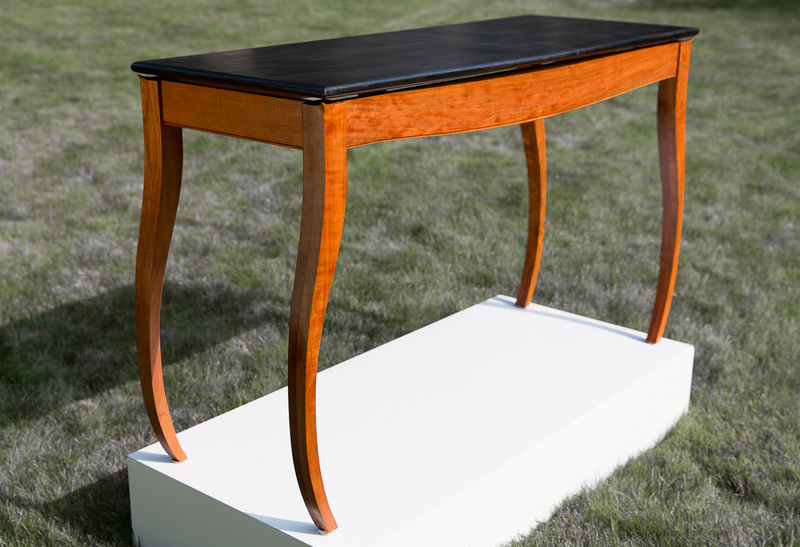 This graceful contemporary side table features curves throughout the legs, apron and top. Originally commissioned by the Manchester Historical Museum (Manchester-by-the-Sea, Massachusetts). 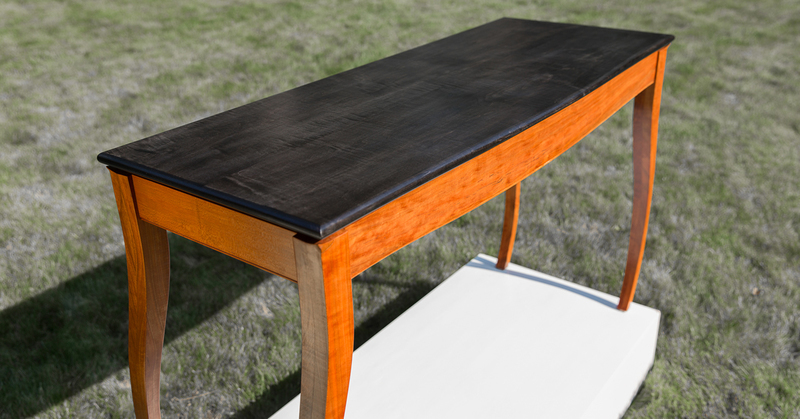 Mahogany version is part of permanent museum collection. 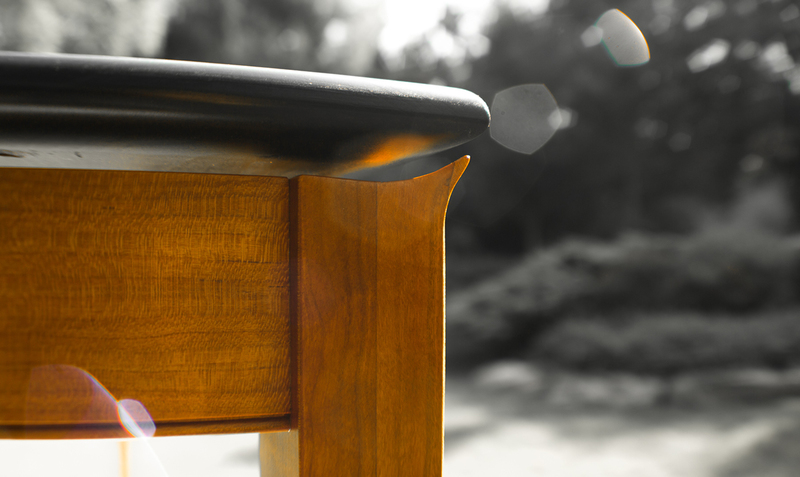 The dyed maple top floats above its quarter-sawn cherry apron and legs which are carved to follow the rounded counter top edges.